Both teams settle for field goals on their opening drives at Petco Park. We're sitting down the 3rd base line and there's a good breeze at our backs. Probably helped both Ethier and Upton. Myers had to crush it. Amazing diving stop by @Solarte26 to end the top of the 3rd. 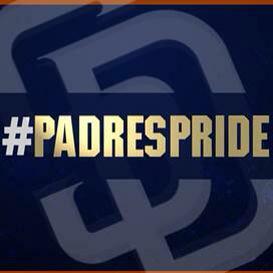 #Padres coming up! You go @JUST_JUP! 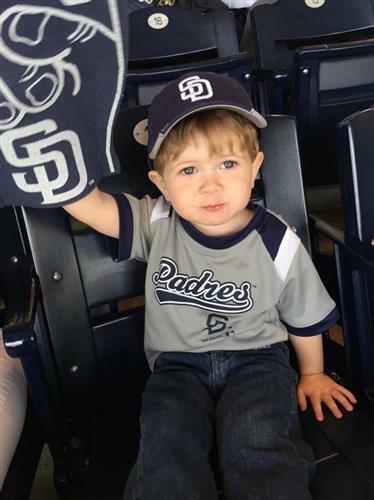 Second home run of the game and the #Padres now trail 10-6! That's a triple for @YonderalonsoU! ???????? It's official. #Padres have recalled RHP Cory Mazzoni from Triple-A El Paso and optioned LHP Chris Rearick to the Chihuahuas. It's still April, so no must-win games. 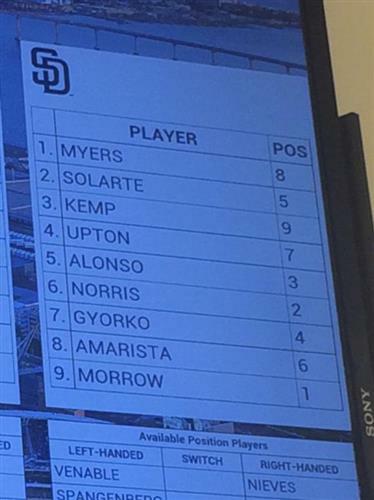 But this is a defining game for the Padres. Don't get swept. #Dodgers putting Yasiel Puig and Joel Peralta on disabled list. Final game of the series coming up at 1:10pm but first up is #PadresSH so tune in: @FOXSportsSD @ESPNRadio1700 and padres.com/socialhour! All gates are open for today's game. East Village gate has a 2 minute wait. The rest are free flowing. We're halfway home on Padres Pregame from Petco Park on @Mighty1090. Coming up, @heyscan talks to new Padres reliever Corey Mazzoni. 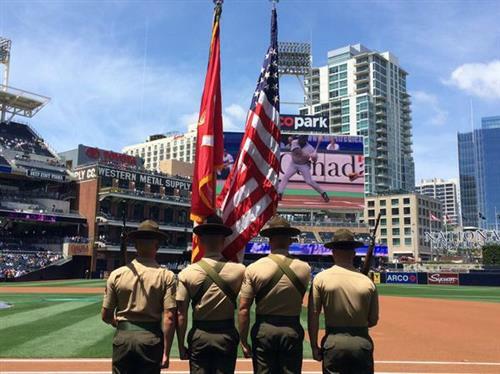 #SDMilitary and the #Padres take the field. 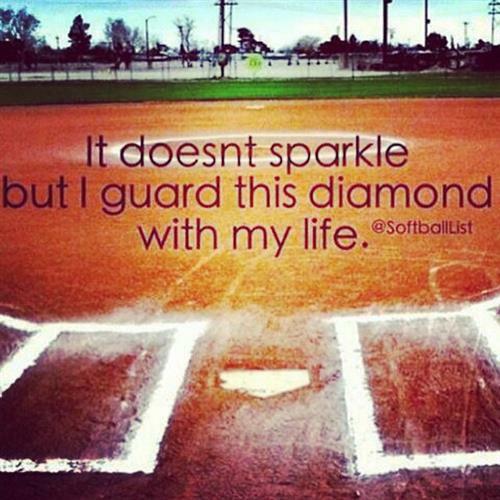 Let's play ball! Gyorko just got Aranado'd by Guerrero. Carlos Quentin gets hurt just watching Justin Upton play left field.
.@robdog1966 That's on Hoffman. Never had a prayer, even on a bad throw. GO NINJA GO NINJA GO!! Amarista with a solo shot to put the #Padres on the board, 1-0! Don't think Amarista needed the wind to help that one. Crushed HR to right gives the Padres a 1-0 lead. 398 feet on Alexi's HR, but I'm rounding up to 400. RBI double by @d_no36 drives in @TheRealMattKemp and the #Padres now lead 2-0! Adrian Gonzalez just made two outs...one on play...against the Padres. I think that matches his season total. 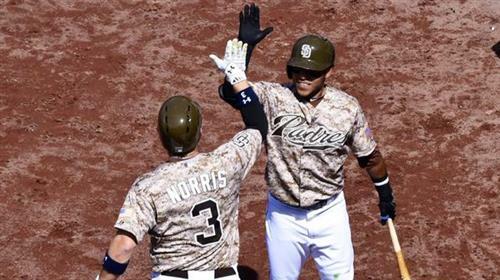 First home run as a Padre for @d_no36! Friars lead 3-1! Thanks to 43,256 fans here today & the 130,765 here this weekend. That's the 3rd highest three-game series attendance in @PetcoPark history! 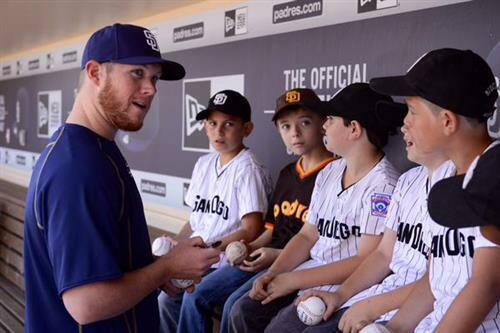 I'm not opposed to bringing Kimbrel in during the 8th if Benoit gets into any trouble.